Abundant Blessings: Nobody Does It Better. 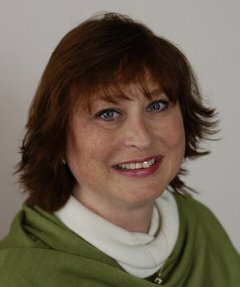 . .
than Lisa Samson. And I’ve got proof. I haven’t run a contest here for a while so I figure it is about time. 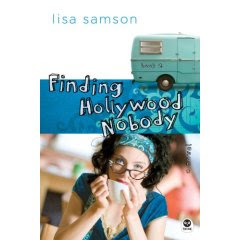 Lisa’s latest, Finding Hollywood Nobody, is great reading fun. In case you don’t believe me, I’m giving away a copy, just to prove it. Here’s all you have to do: Tell us your favorite recipe for making Grilled (or Toasted) Cheese Sandwiches. Everyone who leaves a comment with their recipe on my comment page will go into a drawing and the winner will receive a copy of Finding Hollywood Nobody. It’s that easy. And in case you’d like to know a little more about the book before you commit,click here to see my review. All this talk of cheese is making me hungry so I’ll close and go whip up some fetticini alfredo--or something equally cheesy. One of my girlfriends in college was the ultimate grilled cheese maker. She used one of those sandwich machines that sealed the ends. Inside she put tomato paste, spaghetti sauce or marina sauce along with whatever cheese happened to be on hand. My favorite was the parmesan/romano blend with sourdough bread. Mmm. Makes me want to go get one of those machines! Butter two pieces of bread, slap two pieces of American Cheese on the inside and grill in pan, buttered side down. My method is more like Julie's though I've been known to get crazy and add a slice of tomato or even some bacon. I'll be putting the names in a hat and drawing ladies. BTW, last call to everyone else--I'll be drawing at 6:00 MST (that's Mountain Standard Time, which is different from Mountain Time--found that out the hard and embarrassing way but that's another story). Look for the results this evening! My favorite grilled cheese sandwiches include loads of butter on big slices of Texas toast with a slice of delicious cheese in between. Toast it up nice and brown and dip it in ketchup! Yum!! Thanks for stopping by. Never thought about using Texas Toast but that does sound good. Ummm, I'm getting hungry! Malia Spencer! (yay!!!) Your copy of Finding Hollywood Nobody will be on its way ASAP. Thank you all for participating. I will have to try out the recipes. Abundant blessing on each one of you!